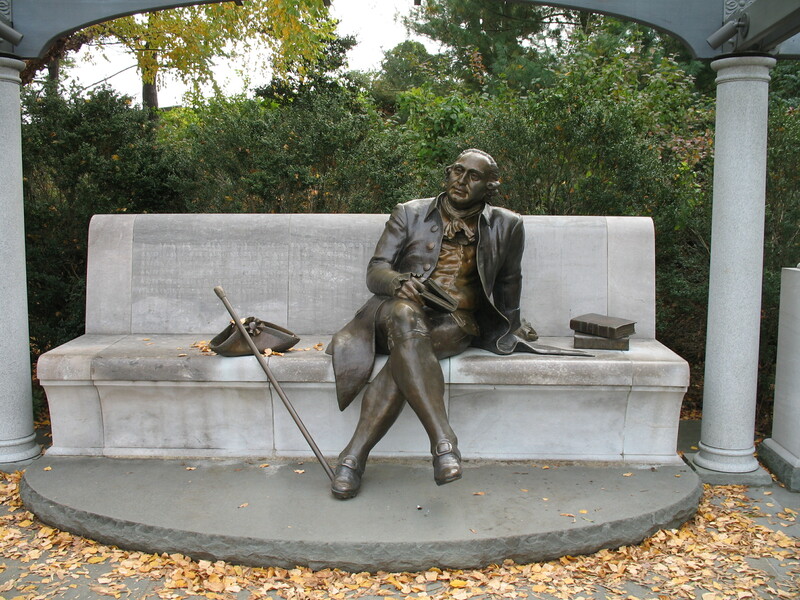 SPJ Virginia Pro Chapter is leading a George Mason Memorial-Gunston Hall trip this Sunday, Dec. 11, to honor Mason’s 286th birthday. At the Mason Memorial, we’ll hold a brief wreath-laying ceremony. Then, after stopping for lunch en route, we’ll tour Mason’s plantation home, Gunston Hall (admission $8), which is decked out for Christmas. Reservations are not necessary. We’ll meet up at River Road Shopping Center near the BB&T bank (corner of River and Huguenot Roads) at 8:15 a.m. and depart at 8:30 a.m. sharp. If you miss the group departure, you can meet us at the Mason Memorial, which is easy to find with plentiful parking. Cross the Potomac River on I-395 and take the first exit for Potomac Park. Then, make the first right onto Buckeye Drive, and the next right onto Ohio Drive. Watch for the C, B, and A parking lots on the right. Park there, and walk to the right on Ohio Drive, under I-395, and the Mason Memorial is immediately on the right. There is no cost other than your lunch and your admission to Gunston Hall. Call or e-mail Brian Eckert (h. 560-3056, c. 539-9907; beckert@richmond.edu) for more information.